Kitah Aleph is a class for children aged 5 and under, which is aimed to give our youngest children a chance to enjoy Jewish learning through play and art. The class takes place once a month, between 9.45am and 11.15am on days when there is a family service. Parents stay with their children during this time to help them join in with the activities provided. Like most communities, education is at the heart of KLS. For the older children, we have an active and busy religion school (Cheder) which is held at the synagogue on Shabbat mornings during term time. Our approach is for the children to be happy and enjoy their morning, especially after they have spent all week at school. So lessons are mixed with a variety of activities, art and music. Pupils typically start coming from the age of five (see Shabbatots for younger children) and progress through a curriculum of Hebrew and religious knowledge until they are fifteen. Bar and Bat Mitzvah preparation is integrated into the religion school schedule. 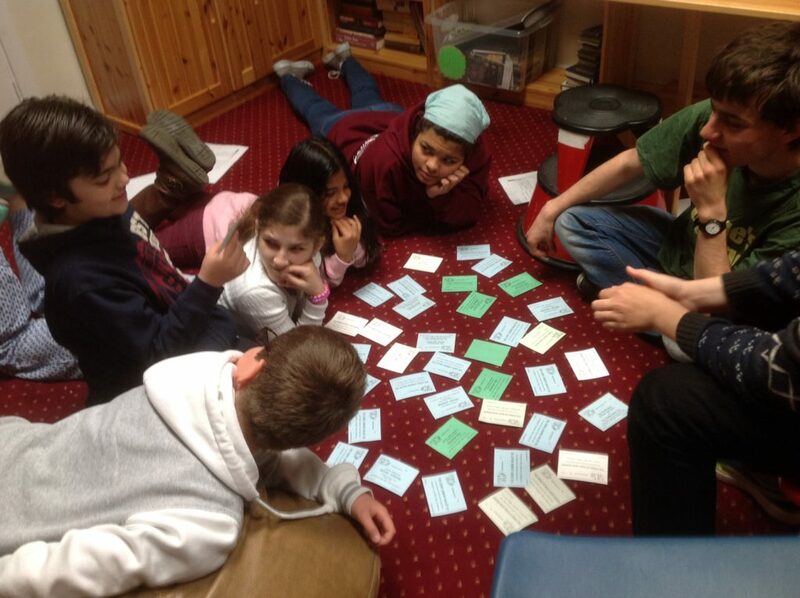 Many students continue their studies to Kabbalat Torah (confirmation). 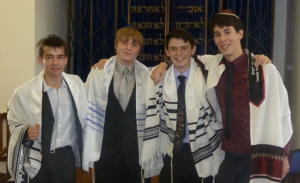 It is a credit to our religion school teachers that many young members return to the synagogue to teach and take leading roles in the Liberal Jewish Youth Movement (LJY Netzer) both nationally and internationally. Bar and Bat Mitzvah preparation at KLS is a special experience. Students study together as a peer group in their religion school classes and provide each other with support and encouragement, creating a really caring atmosphere. As a group they attend talks by outside speakers from both Jewish and non-Jewish organisations and participate in family services, practising their Torah blessings and other prayers. Each student also receives individual rabbinic support, providing them with spiritual time as well as practical help. 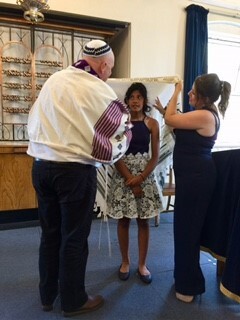 Every student succeeds in leading the Shabbat service on their Bar or Bat mitzvah, including those who have joined the synagogue with little or no Hebrew knowledge. 3. Jewish studies & projects. The KT programme culminates with the students leading their own Shabbat service. Following completion of the programme, all pupils are offered roles of teaching assistants or song leaders at Beiteinu. For family services dates (marked in green), please refer to our Calendar page or you can get in touch with us via email. 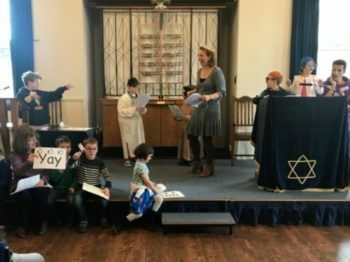 KLS has strong links with the Youth part of Liberal Judaism – many older members have been participants and leaders on LJY-Netzer days/weekends/holidays, and are now sending their children to participate! The activities are fun-filled, thought-provoking, and just downright mad at times! Several of the current LJY-Netzer staff (paid and voluntary) are KLS members, and many, many of our Beiteinu children have forged strong, lifelong friendships with Jewish children they have met on LJY-Netzer events. The activities are fully inclusive. The LJY-Netzer website can be viewed here. We run a very successful and respected Evening Institute for adult education. Courses vary and have covered the following subjects: Hebrew, Jewish practise, Ladino and Yiddish Music, Jewish literature, history and culture. If you are interested in more information please email us.